A couple of years ago, I was standing outside a restaurant on a sunny day in southern California showing Joanna Beck, wife of Dr. Bob Beck, just how simple it was to disperse clouds using The Visual Ray (http://educate-yourself.org/tjc/visualray21may0.shtml), a technique I learned from reading Trevor James Constable's book, The Cosmic Pulse of Life. After demonstrating the technique to her on a couple of smaller clouds, we worked together on evaporating a particular large cumulus cloud and noticed how the blueness of the sky was slightly darker where the large cloud had existed only a few minutes earlier, a result of intensified orgone energy ( http://educate-yourself.org/dc/dcwhatisorgone.shtml ) accumulating in that area. Almost simultaneously, we wondered aloud whether a group of people could use this technique to break up chemtrails! I tried it a number of times on my own, but I couldn't get chemtrail 'clouds' to break up and disperse the same way normal clouds would and I wondered silently whether a Cloudbuster, a simple invention of Wilhelm Reich.to direct orgone energy in the atmosphere, could tackle the job. 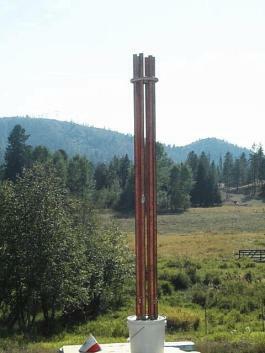 Over the course of 35 years, Trevor Constable had modified Reich's original long pipe arrayed Cloudbuster down to a much smaller, compact, and simpler design that could 'make' or 'break' weather in any direction he chose: He could make rain or stop it; he could relieve drought and break up smog or create a dry spell and intensify smog conditions. The manner in which you manipulate the atmospheric ether in a given area is the key. However, the hero of this article is Don Croft, a man who was already familiar with Reich's observations of orgone energy and his invention of the Cloudbuster. Don was talking one day with a man who told him about a radionics type device that he obtained over the internet. He said that paid over $500 for a plastic box which contained some dials and mostly metal shavings and epoxy resin. Don was intrigued and read more information about the device. The maker of the device had capitilized on an observation that Wilhelm Reich had written about in one of his books on orgone energy, The Cancer Biopathy. Reich found that any organic material, when juxtapositioned with metal, will act as an absorber of orgone energy which is first attracted to and then reflected away by the metal. The device maker was calling his device an orgone generator (abbreviated "orgen" here). Apparently, an orgen can generate the positive form of orgone ("OR") energy by transmuting or neutralizing the deadly or negative form of orgone energy dubbed "DOR" . Orgone accumulators , on the other hand, can accumulate (and intensify) both the positive and deadly polarities of orgone energy. Orgone accumulators have traditionally been abbreviated "oracs" and Don sometimes uses that term himself, but Don's modified version of a Cloudbuster employs the mixture of metal shavings and plastic resin of the orgone generator and is not the same thing as a traditional Reichean orogne accumulator or Reichean Cloudbuster. The marrying of metal shavings and plastic resin of the orgone generator with Reich's Cloudbuster pipes has resulted in a different atmospheric instrument, with new and inique attributes from the traditional Reich Cloudbuster. A number of people have reported unusual and positive emotional/physical effects produced by a HHg, even from a considerable distance. 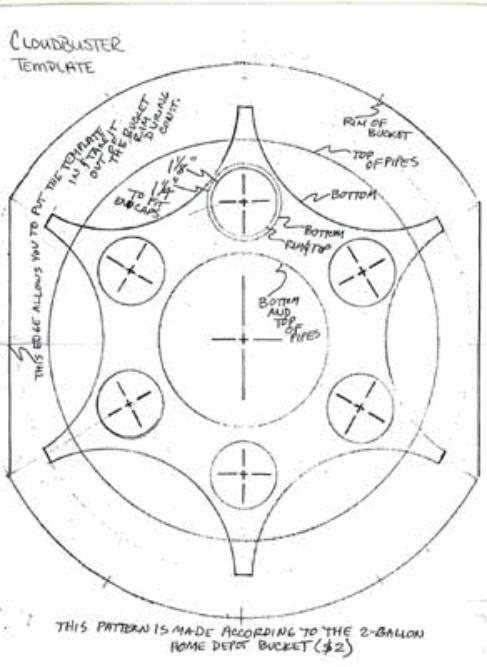 Don also incorporated the orgone generator into his Terminator, his latest hybrid modification of a low frequency bioelectric 'zapper' that has also generatred some "unusual" reports of its own ( http://educate-yourself.org/dc/dcdonszapperandterminator24mar02.shtml ). Orgone generators have the ability to focus life-positive orgone energy and break up areas of noxious, life-draining energies of DOR, a word coined by Wilhelm Reich for Deadly ORgone. Don found that his orgone generator could neutralize DOR and seemed to only generate positive, life-enhancing energies. Don and his wife began planting these five crystal orgone generators at outdoor locations near nuclear power plants and other areas of noxious, life depleting energies (secret underground and underwater bases, etc.) and started to have a definite effect on improving the energy fields radiating from these zones. 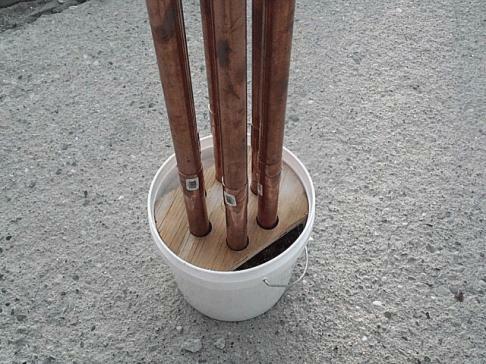 Since he already was thinking about using the Reich Cloudbuster to try and break up chemtrails, Don took it a step further and combined a large version of his HHg with the rigid copper pipes of a Cloudbuster and a 2 gallon plastic bucket to hold the whole enchilada together. This modification of Reich's Cloudbuster into a Chembuster is a unique and original prototype initiated by Don & Carol Croft and produces some rather 'unique' effects. 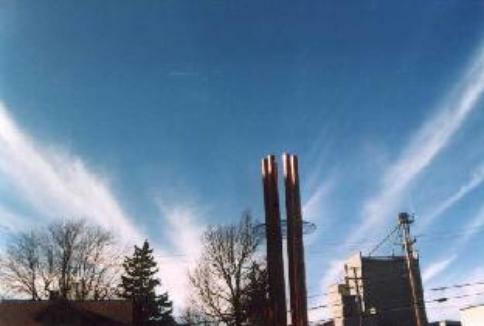 Don originally had set up his Chembuster outside on a chemtrail-overcast day with the pipes pointing straight up and sure enough, after a while, the chemtrails started to break up revealing blue sky above. The longer he left the Chembuster in place, the clearer the sky got, eventually covering an area out to 90 miles. He later improved the Chembuster design and got the coverage to extend out to 120 miles. A man named Rick from the Los Angeles area timed how long it took his Chembuster to disperse overhead Chemtrails and posted his photos to the Don's original Cloudbuster chat forum (now defunct). Amazingly, the area immediately above Rick's Chembuster transformed from Chemtrail laden overcast to CLEAR blue sky in less than 10 minutes. You can see the photo sequence here: ( http://educate-yourself.org/dc/dcricks10minctclearingjob.shtml ). Initially, Gert found that his Chembuster was having an effect on the incessant sand storms, causing them to constantly change direction, but eventually he found that aiming the Chembuster south at an angle of 30 degrees to the horizon forced the sandstorms to stop. After being parked in this position for two months, his Chembuster brought on torrential rains for the first time in many dry months to one of the driest regions of Africa. Complete instructions to make your own Chembuster are included in this article. It will cost you about $150 US dollars if you buy all of the materials new, but if you're a scrounger, you can probably do it for the cost of the plastic resin. The instructions were written by Don Croft, but the original aritlce has assembled, edited and organized by Stephanie Relfe who has a couple of great web sites that everyone should take a look at: www.metatech.org and www.relfe.com . Anyone with modest do-it-yourself skills can build these devices, but be aware that a Reichean style Cloudbuster is not a toy. It directs orgone energy, both the good type and the harmful DOR type. Don's modification of the traditional CB has removed most of the concern and potential dangers of DOR, since the orgen neutralizes the DOR, but one individual reported getting a headache after touching the pipes of a Chembuster and NOT touching the base to ground himself out. Always touch the base after handling the pipes of an active Chembuster. A traditional Cloudbuster patterened after Reich's design has the potential to be harmful if you don't know what you are doing. Trevor Constable told me first hand a story about the late Robert McCullough, Reich's friend and assistant in the Arizona desert in the 1950's. Dr Reich and Bob were running pioneering experiments with Reich's Cloudbuster in the desert when Bob had allowed a big (functioning) Cloudbuster to accidentally touch the side of his bare leg-which instantly paralyzed his leg and caused him excruciating pain. It took weeks to recover. Bob walked with a limp and had to use a cane for the rest of his life. The desert environment contains the highest ratio of atmospheric DOR energy than any other place on Earth, so it was the worst possible location to have such an accident. You don't have that sort of concern with Don's Chembuster, but touch the base (just to be sure) after handling the pipes to avoid the potential of getting a headache. 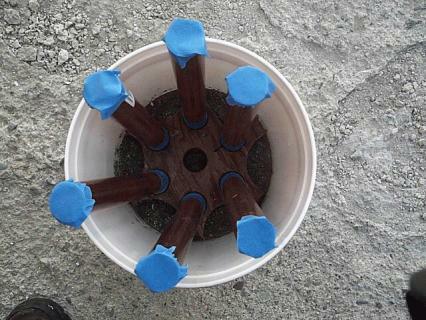 In general, avoid touching the pipes of a Chembuster after it has been set up and running for a few days. If you need to touch the pipes of an active Chembuster, it's a good idea to take a heavy copper conductor wire, like an battery jumper cable, and touch the jumper cable to each pipe in turn while holding the opposite end of the cable against the earth (or at least against the resin/metal matrix of the base if you can't get at the soil). Below, you'll find the edited reprint of Don's paper on Chemtrail Busting and complete instructions for making your own Chembuster or "CB". While written some time ago, Don's Introductory Notes offer important insights into the Croft world view and their mission. I believe you will find it highly informative and in sync with the emerging paradigm of the new millennium. 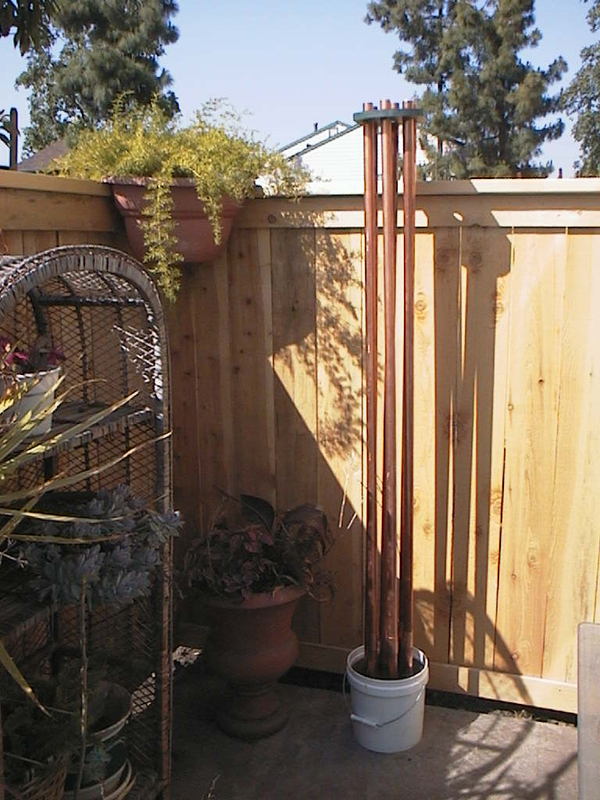 If you wish to obtain a ready made Chembuster in either a 2 gallon or 5 gallon version, using either copper pipes or less costly zinc plated iron pipes, or a complete Chembuster kit for making the 2 or 5 gallon chembuster, then visit this link, http://educate-yourself.org/dc/orgonegenindex.shtml Scroll down to Chembusters. © Copyright 2002 - 2008 Educate-Yourself.org All Rights Reserved. Definition of a chemtrail: The term "chemtrail" is a relatively new word, which appeared in the last few years along with the appearance of chemtrails. A chemtrail is very different from a contrail. At first a chemtrail might look a bit like a contrail. However, instead of disappearing like a contrail does, a chemtrail just keeps spreading out and forming a hazy cloud bankout and forming a hazy cloud bank These trails traverse the whole sky and stay for up to around five or even eight hours. . . They have been known to turn what was originally a clear blue sky into a grey haze. (Note: As of Nov 2001 there are already several dozen Chembusters in seven countries, so if you see chemtrails that don't last anywhere near this long, there may already be a Chembuster in the area). It is believed chemtrails are composed at least in part by an oil based substance of unknown content that is actually being sprayed from jets on populated areas. 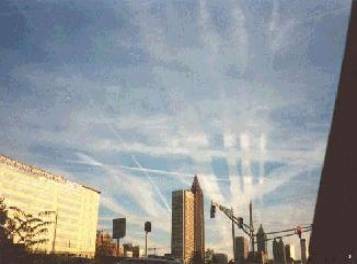 It has also been found that some chemtrails contain red blood cells, aluminum, mycoplasma, viruses and other unknown biological components. There are many reports of increased diseases, especially respiratory ailments, in areas where there are chemtrails. Chemtrails are often seen to be sprayed by white planes with no markings. Sometimes you will see these planes give off no contrail at all, and immediately after the same kind of plane in the same area will start to leave a thick chemtrail. At other times, distinct short gaps in chemtrails have been photographed, as though the plane ran out of chemicals and then had to start spraying with a new supply.